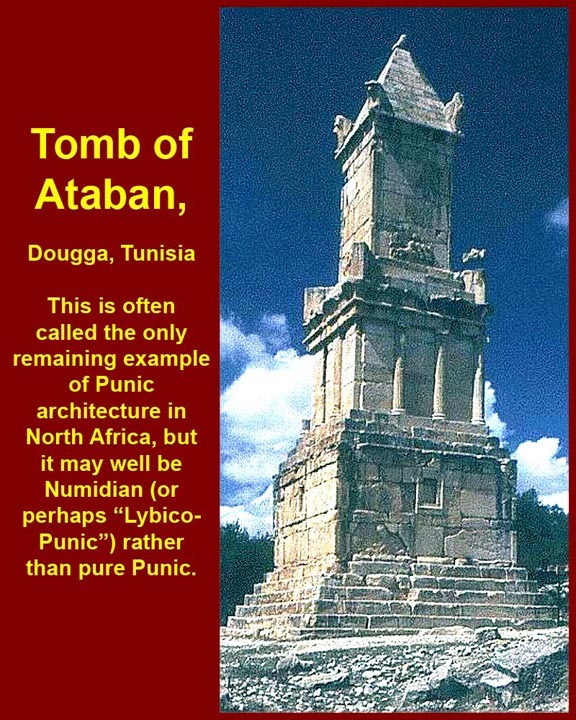 The Punic (PHOENECIAN) Mausoleum of the Numidian Chief Ateban at Dougga (Ancient Thugga) Tunisia; 200 B.C., is one of the monuments in Tunisia that tells us of African History? A monument that brings back the history of the Punic Wars between 264 – 241 B.C and 218 – 201 B.C. This conflict was fought between Algeria, Libya, Tunisia and Carthage which fell in 146 B.C. 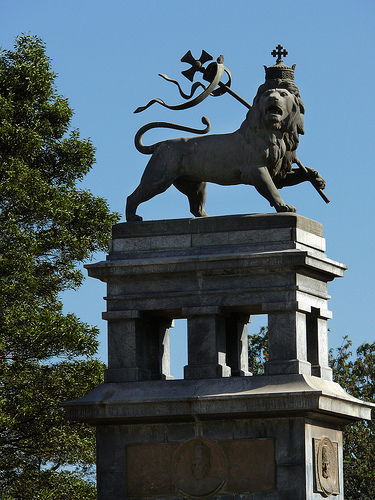 The Lion of Judah in Addis Ababa, Ethiopia is a national symbol which traces its history and royal lineage to the reign of the Queen of Sheba. 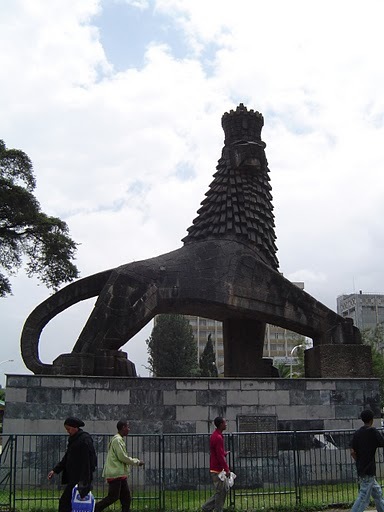 Centuries ago, King Solomon said: “None but the Queen’s son Menelikand his successors should rule over Ethiopia…” and even today this is still a belief among many Ethiopians. 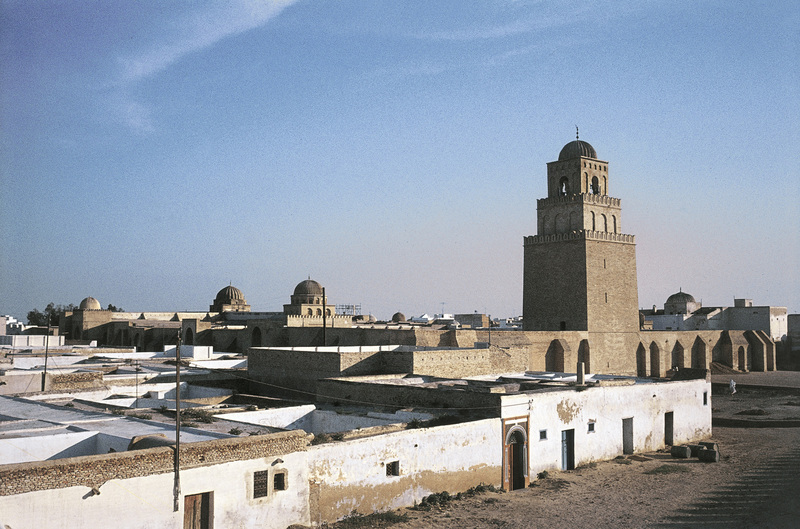 The Friday Mosque of Quayrawan in Tunisia, North Africa, was founded in 670 and rebuilt by Ziyadar Allah in 836. A notable result of the Arabs’ sudden attack on Africa. Arabs were major contributors to the spread of Islam to Africa in the year 1200. They came in through Egypt and forced people to convert to Islam. CandaceEmpress of Ethiopia (332 B.C.) 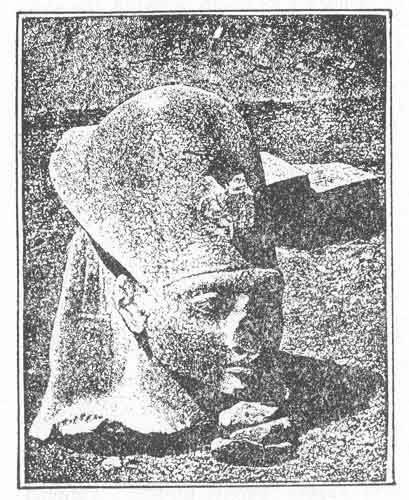 When Alexander the Great was receiving world fame for his unbroken chain of victories; he reached Kemet (Ancient Egypt) in 332 B.C. But one of the greatest generals of the ancient world was also the Empress of Ethiopia. This formidable black Queen Candace was world-famous as a military tactician and field commander. Legend has it that Alexander could not entertain even the possibility of having his rampaging conquests marred by risking a defeat, at least, by a woman. He halted his armies at the borders of Ethiopia and did not invade to meet the waiting black armies with their Queen in personal command. Queen Dahlia Al Kahina; she fought against the Arab invasion in North Africa where under her leadership Africans fought back fiercely and drove the Arab army northward into Tripolitania. Queen Kahina was of the Hebrew faith; her opposition to the Arab invasion was purely nationalistic since she favoured neither Christians nor Moslems. Her death in 705 AD by Hassen – Ben – Numam ended one of the most violent attempts to save Africa for Africans. She prevented Islam’s southward spread into western Sudan. After the death of Queen Kahina, the resistance to the southward spread of Islam was so great in some areas that some of the wives of African Kings committed suicide to avoid falling into the hands of the Arabs who showed no mercy to the people who would not be converted to Islam. Yaa Asantewa – Warrior Queen of Ghana (1840 – 1921) (pronounced YAA ah-SAN-te-wah) was appointed Queen Mother of Ejisu (Asante Confederacy), now part of modern-day Ghana, by her brother Nana Akwasi Afrane Okpese, the Ejisuhene (ruler of Ejisu). In 1900 she led the Ashanti rebellion known as the War of the Golden Stool against British colonialism. 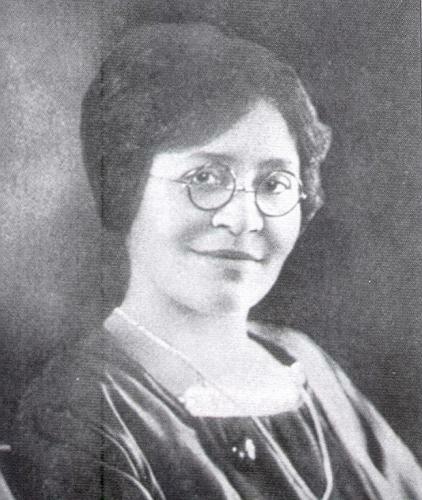 Annie Turnbo Malone (1869-1957) was an African-American businesswoman, inventor and philanthropist who in the first three decades of the 20th century, built a large and prominent commercial and educational enterprise centered around cosmetics for African-American women and, subsequently, training and poise for both genders. At the beginning of the 1900s, Annie Malone had pioneered and revolutionized hair care methods for all African-Americans. She created a variety of hair care treatments, including the first patented hot comb, which preceded the one popularized by an early employee of hers, Madam C.J. Walker. Charles Richard Drew (1904 – April 1950) was an African-American physician, surgeon and medical researcher. He researched in the field of blood transfusions, developing improved techniques for blood storage, and applied his expert knowledge to developing large-scale blood banks early in World War II. This allowed medics to save thousands of lives. 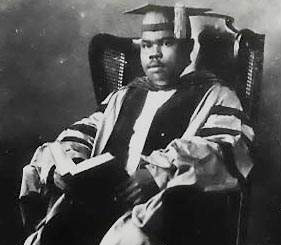 In 1943, Drew’s distinction in his profession was recognized when he became the first black surgeon selected to serve as an examiner on the American Board of Surgery. Robert Leroy Johnson (1911 – 1938) King of Delta Blues. This American blues singer and musician has influenced generations of musicians such as Eric Clapton who has called Johnson “the most important blues singer that ever lived…” Johnson’s shadowy, poorly documented life and death at age 27 have given rise to much legend, including a Faustian myth. He was ranked fifth in Rolling Stone’s list of 100 Greatest Guitarists of All Time. Julius Kambarage Nyerere (1922 – 1999), served as the first President of Tanzania and previously Tanganyika, from the country’s founding in 1961 until his retirement in 1985. Nyerere was known by the Swahili name Mwalimu or ‘teacher’, his profession prior to politics. He was also referred to as Baba wa Taifa (Father of the Nation). ‘Til next month – Everyting Bless. This entry was posted on June 30, 2010 at 3:00 pm and is filed under Articles, Black British Literature, Black History, Newsletter with tags Articles, Black British Literature, Black History, Newsletter. You can follow any responses to this entry through the RSS 2.0 feed. You can leave a response, or trackback from your own site. Good links to cultural info for those who need to know about black historial values alongside gaining knowledge on new ones. It would also be nice to see pages of natural hair styles; locks, plats, etc. 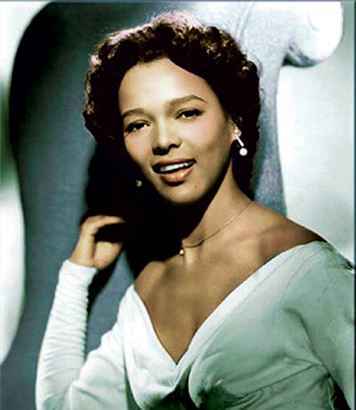 Info on unknown black films, successful bussineses, etc. I like the newletter and I wish you every success.